Curt Drumm started flying while working in Hollywood television and hasn't stopped since. In addition to being president of Lakeshore Aviation, he is the corporate Air Charter Captain, and instructs Private, Commercial, Instrument, Multi-Engine, Flight Instructor and Floatplane students. Curt operates the only Seaplane school in Wisconsin, logging over 1000 hours of float flying. He also teaches "Intro to Water Flying" seminars for interested groups. When not in the air, Curt produces the Manitowoc Airshow and is very involved in the community. 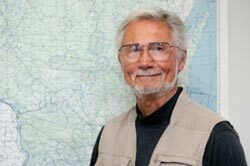 He is also active in EAA and AOPA, is an FAA “FAASTeam” safety counselor and serves as the AOPA Airport Support Network (ASN) volunteer in Manitowoc. After years of flying and a career as a High School science teacher, Jim Wheeler joined the instruction staff at the Manitowoc airport. Since then he's shared the excitement of flight with many, many people, both young and old. He looks forward to each and every adventure, and takes the extra effort so often missed by other less-experienced Instructors. Jim has logged over 10,000 flight hours, most of it one hour at a time as an instructor. While Jim works with many primary students, his real specialty is Tailwheel and Light Sport aircraft. Pilots come from miles around to fly with Jim. He especially loves flying old airplanes with big, round engines. 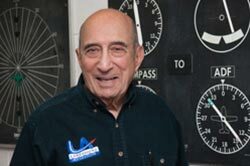 Leon Sigman has been a legend of flight instruction in the Manitowoc area for many years. He's taught countless students the art of flying and is always willing to share a joke. Some are actually funny! Leon instructs Private, Commercial, Instrument and Multi-Engine pilots, plus Flight Instructor candidates. Leon has logged over 10,000 hours in the air, and is a partner in a Piper Archer. 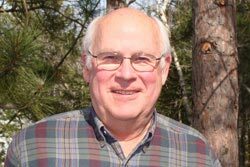 He is active with many civic organizations and enjoys his home along the beautiful shoreline of Lake Michigan. His wife, Judy, jokingly thanks us for keeping him at the airport and away from home. Dave Schmutzler is a lifelong pilot with over 13,000 flight hours. He currently operates two business-class aircraft, traveling around the country on a regular basis. 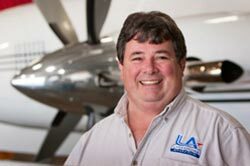 Dave brings years of experience to our seaplane and multiengine flight training programs.